Ciao ciao! It has been a minute and I am so excited to share photos from my absolute favorite trip so far this semester. We had a week for spring break and my mom flew across the pond to meet me in London for the best few days. While I am loving my time in Italy, it was a nice change of pace to be somewhere where people speak English and of course see my mom for a week! We are the perfect travel companions and always want to do the same things so it made it the most fun trip. We were super lucky to have gorgeous weather the entire time despite London's typical random rainstorms. Light jacket weather is my favorite for walking around so as you can imagine the beautiful weather was the cherry on top of the city's charm! The cutest houses in Chelsea. Can I move into a pink one please?! Although the menu was super strange (we didn't end up eating there), Sketch's Gallery room was the prettiest restaurant I've ever seen. Hot pink walls and seating, the most fun gallery wall and the egg bathrooms made for the coolest dining environment. After looking at several restaurant options for high tea (a must in London!! ), we decided that the menu in our own hotel was actually the most appealing. 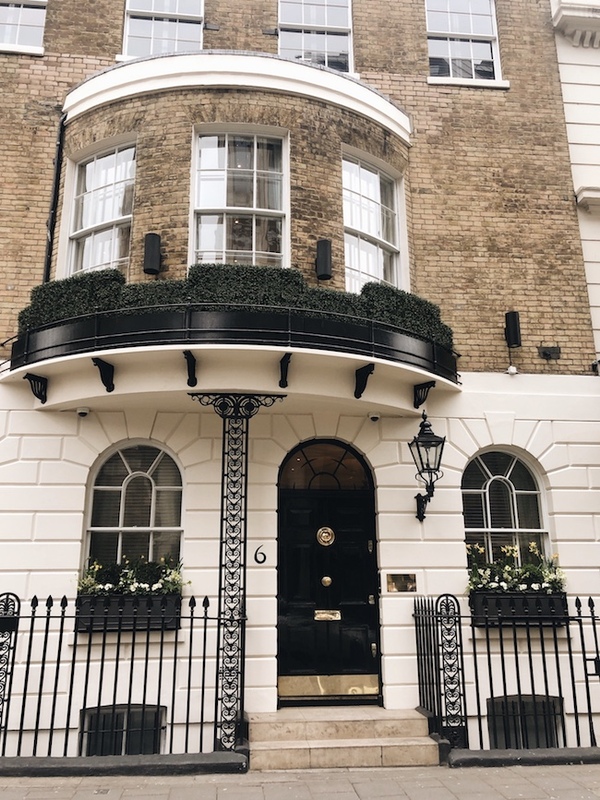 My mom and I stayed at the Mayfair Hotel (very close to Bond Street where there is incredible shopping) and could not recommend it enough. We stumbled upon Carnaby, the cutest little area of shops and restaurants, a few minutes away from our hotel and kept going back to walk around and explore. Highly recommend! The most delicious pancakes and french toast we've both ever had at Cafe Concerto. There are several locations around the city - you have to try it if you visit London! Kensington + pink cherry blossoms = absolute heaven. Fish and chips were a must (duh) and we loved the Mayfair Chippy! 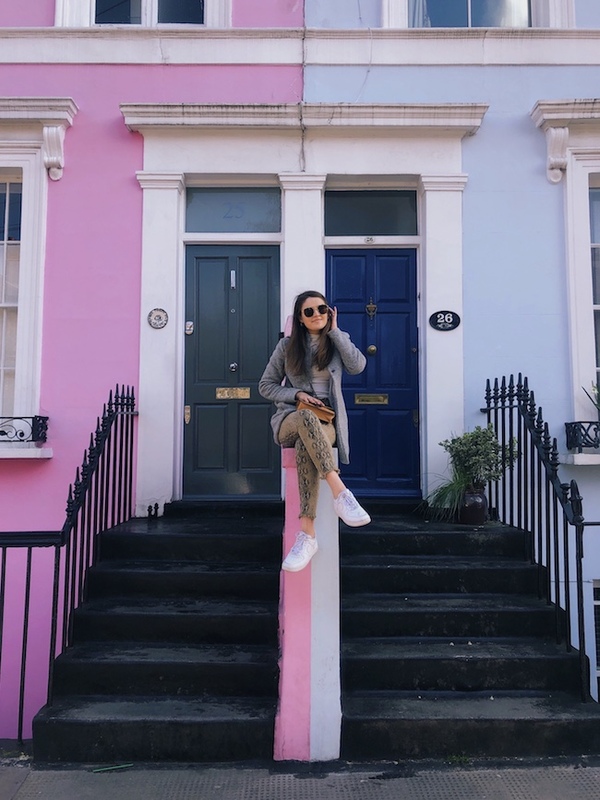 I've wanted to see the colorful houses in Notting Hill my entire life and they did not disappoint. The most London-esque view from our hotel window. I'm already dying to go back!! The most insane luxury department store you will ever see in your entire life. We spent most of our first full day exploring every floor and still didn't even see everything. Definitely very expensive but worth checking out! 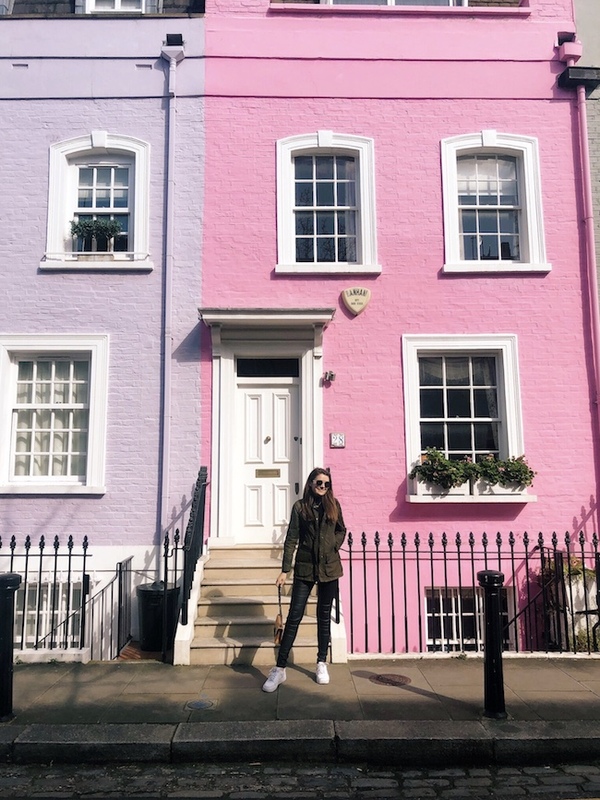 To see all of the colorful houses and boutiquey shopping, you have to go to Notting Hill and Chelsea. We could have spent so many days exploring each of them but you could definitely do each in a day. There are tons of options for high tea in London - I recommend checking out different menus to know what you're getting into because there were some weird items on the menu at some places! We loved ours at Mayfair Hotel and I've also heard that St. Ermins does a yummy one too. So so cool to see! The palace is also right next to Hyde Park which is a pretty walk if the weather is nice. Amazing shopping and restaurants nestled into the cutest little corner near Mayfair. 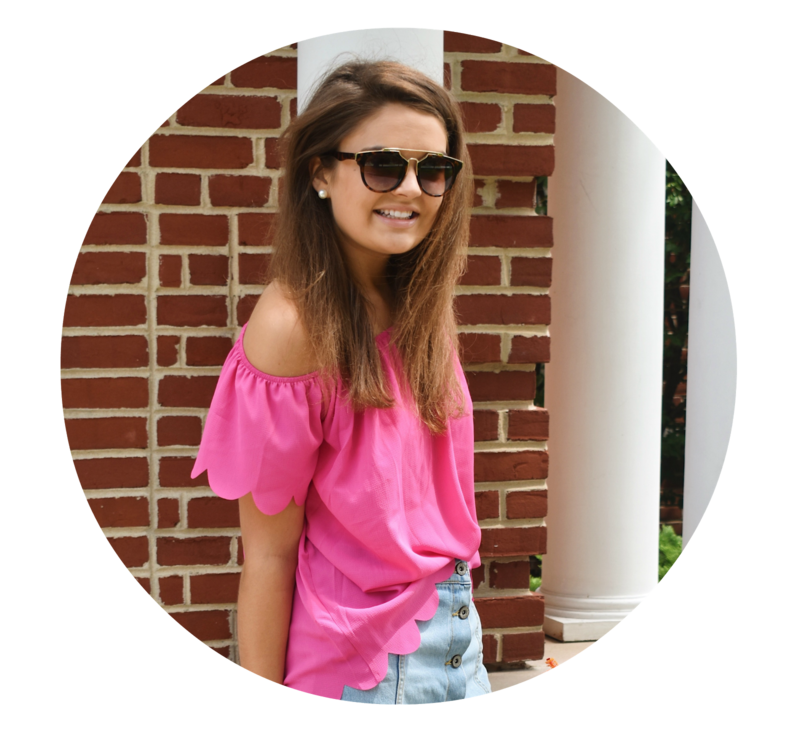 Think Brandy Melville, Jack Wills, Daniel Wellington, etc. We also ate outside at Kua 'Aina (fish and chips, burgers, fries, etc.) twice to enjoy the cute, casual vibe of this area. One of my favorite parts of the trip!! The most beautiful department store with tons of flowers right outside the main door. Highly recommend stopping by or (or spending a few hours like we did). We stumbled upon this absolutely adorable restaurant that had sort of a nautical Hamptons vibe. They had the best fish and chips we had all trip!! My mom and I could not get enough of Ben's Cookies (the chocolate chunk was our fave!). Super close to Carnaby and Liberty London. Any other London musts you recommend?